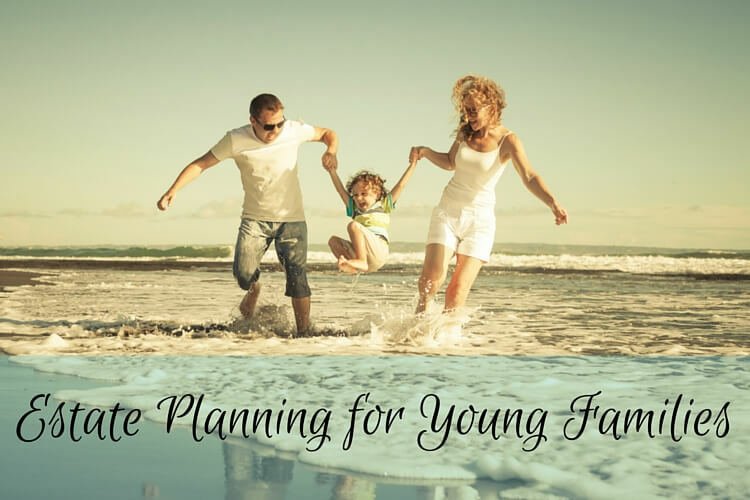 In the excitement and exhaustion of caring for young children, estate planning is probably not be at the top of your priority list. But all families, especially those with young children, should have a basic estate plan in place. If something unfortunate were to happen, your family would be grateful that you took the time to put a plan together. As a parent of a young child or children, the number one reason why you need an estate plan — specifically a will — is to name who will take care of your child or children if both you and the other parent pass away. If you don’t, the court will appoint a guardian. This person is usually a family member (or other capable friend), but which person? Instead of leaving it to the courts to decide among family members, make the decision yourself. If you are a single parent, it is even more important to have these decisions made as soon as possible and documented in a will. Many parents disagree about who they would like to raise their child. Maybe one parent thinks a grandparent would be perfect and the other parent predicts that your children would run the household. Or you might think of a perfect person, but he or she isn’t ready for the responsibility. It’s better to figure all of that out now than to leave such an important decision up to a stranger. Once you narrow down the choices, make sure to ask the potential guardian if he or she would be willing to take on the role. You want this person to be a willing participant! A will does more than appoint guardians for minor or dependent children. A will also outlines exactly how you’d like to distribute your property. If you don’t put a will in place, the court will decide, and it might not be to your liking. In some states, property is split equally between a spouse and the children. If you have two children, your spouse would only receive one-third of the estate. He or she might need more than that to take care of everything. In this case, the portions left to the children would be difficult to access until they reached the age of majority (or the age at which they are considered an adult). Another basic estate planning document everyone needs is a living will. This document lets you state for your wishes for your end-of-life medical care if you become incapacitated. This covers things like if you are in a coma, pain management, breathing resuscitation, and organ donation. Instead of leaving the responsibility of such a decision to a grieving loved one, specify your wishes now. When naming a guardian for your children, you’ll also want to consider who will manage the money and property for the children until they are reach the age of majority. This person can be the same person as the guardian, but it doesn’t have to be. If your sister is wonderful with your kids, but stinks at money management, that’s okay! You can appoint her as the guardian and appoint someone else as the trustee of your children’s money. If you don’t appoint a financial trustee, the courts will appoint a person on your behalf. You might also want to consider establishing a trust to manage your children’s inheritance more effectively. This can reduce costs when settling an estate, and it’s easier to specify exactly how you’d like your assets distributed for your children. You’ll also want to specify who will perform the mechanics of winding down your estate. This person, also called an executor or trustee, will help distribute the property according to your will, close down bank accounts, pay down debts, sell property if needed and so on. Once again, if you don’t appoint this person, the courts will decide for you. Beneficiaries on life insurance and retirement accounts like 401(k)s and IRAs take precedence over what’s listed in a will. So if you’d like your assets to go to your spouse or to your children, you’ll want to make sure you name the right beneficiaries. Know that you shouldn’t list your minor children directly as contingent beneficiaries as they can’t own property directly until the age of majority. You’ll want to the name the trust that will hold the assets for them until they’re older. Estate planning isn’t just thinking about what to do if you kick the bucket. It’s also important to have documents in place that help loved ones know what to do if you become unable to make your decisions yourself. A durable financial power of attorney and medical power of attorney appoints a person to act on your behalf if you become incapacitated. These duties including doing simple things like paying your bills to making sure your wishes are carried out according to your living will if necessary. As a young family, there are plenty of places to spend money. There’s no need to spend big bucks on estate planning for common situations like many families encounter. Many employers offer a pre-paid legal service as part of an employee benefit package. This can be a great way to get estate planning for a reasonable cost. Many attorneys also offer a stream-lined package that includes a will, living will and powers of attorney for a decent cost. One crucial part of protecting your family after you’re gone is to make sure that they will have enough money to pay the bills after you’re gone. If you have dependent children, you need life insurance. Term life insurance is often very inexpensive for young parents. You’ll want enough to cover any debts and funeral costs. Also consider how much money is needed for a transition period, living expenses, and future large costs like college. Just as your family changes over time, so should your estate plan. Your state laws might change. You might expand your family, get divorced, get married, or a guardian or executor might pass away. Check in on your will once a year to make sure it still reflects your wishes.